Outdoor furniture, boxes of summer clothes and all-season tires, oh my. Spring cleaning season is in full swing, and when you’ve finished going through the clutter, you’ll have to put the ‘keep’ pile somewhere. Unless you have an off-site storage unit, you’re probably assigning most of these extra belongings to your garage, carport, basement or attic. Most of these storage areas aren’t guaranteed to be dry and clean. Garages and basements are especially notorious for being damp. Attics can get wet from roof leaks. Only store dry items. Anything that’s already damp or filled with water will only get worse. Don’t store anything in plastic bags. They can attract mildew and affect the humidity in that area. Airtight plastic bins are fine. Store items with moisture-repelling desiccators, like silica gel packs or charcoal filters. Don’t put anything directly on the concrete floor (it can cause moisture to build up since it’s porous). Cardboard boxes are especially susceptible to problems. Stack on top of a pallet instead, which helps with air flow. Make sure there are no leaks. An old garage or a leaky basement can mean the end for your belongings, even if you protect them properly. Don’t store anything in a garage or basement where even a 1% chance of it getting wet is unacceptable. It’s not worth the risk. To add to the last tip: don’t bother storing important paper items (like records or books) in a garage or basement where moisture is a risk. The potential for damage isn’t worth it. Give it a priority spot in the house (in a paper box where it can breathe), or keep it in a climate-controlled, off-site storage unit. Buy a dehumidifier. This device pulls moisture out of the air like magic. 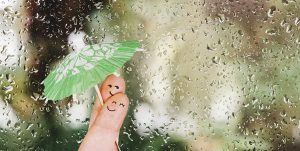 If you live in a humid place like Vancouver–and you’re serious about keeping your belongings dry at home–it can be well worth the investment. Check up on items regularly. They may seem safe and dry now, but will they still be safe and dry in a couple of weeks after a sudden storm? There’s nothing like a steady stream of water coming through a clogged eavestrough to literally dampen your spirits. 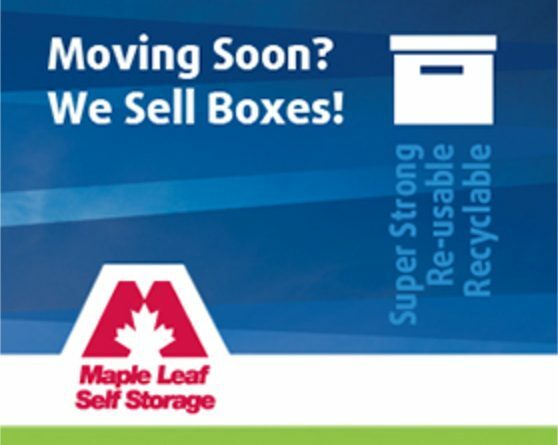 If you’d rather play it safe and keep everything in a climate-controlled, guaranteed dry place, check out the storage units at Maple Leaf Self Storage.